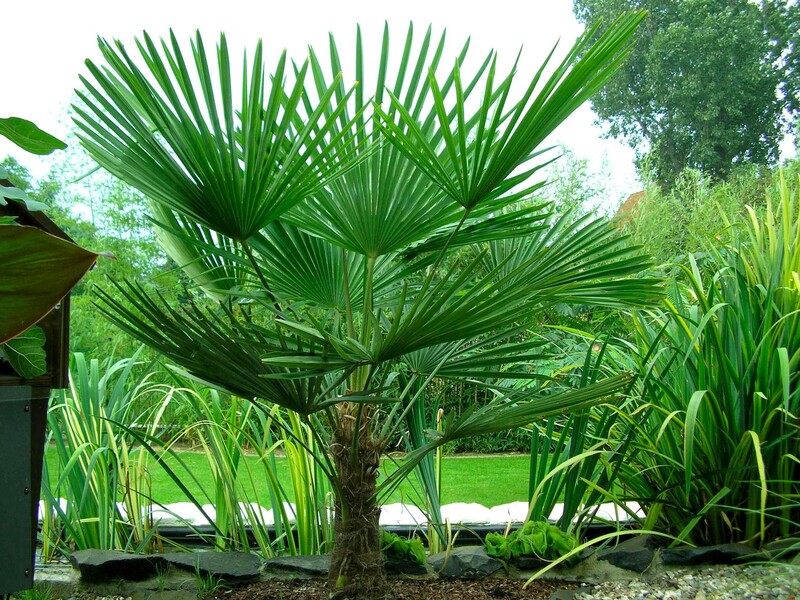 'Totally Tropical', these striking single-stemmed evergreen palms have wonderful, fan-shaped, dark green leaves up to 75cm long. Winter-hardy architectural palms such as these Trachycarpus make a superb feature and will add a sunny desert island feel to you Patio or garden for years to come! Ready to grow on and bring in a Mediterranean flavour to your garden, these are supplied in approx 1 litre pots with a total height of 30-40cms. It is amazing to think that these 'Trachycarpus fortunei' will be perfectly at home in our climate and will quite happily cope with temperatures as low as -8 degrees C! 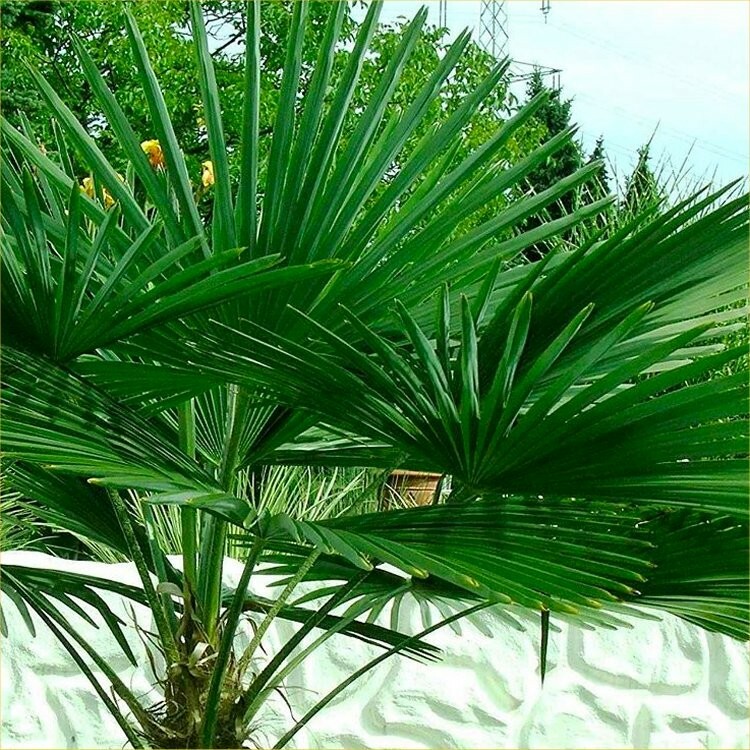 Often seen on holiday, with its wonderful deep green leaves wafting in the sea breeze, these Palms are a truly magical exotic that will look just as spectacular on your patio in a pot or planted into your garden, proving to be very tough, hardy and reliable even in the coldest British winters. 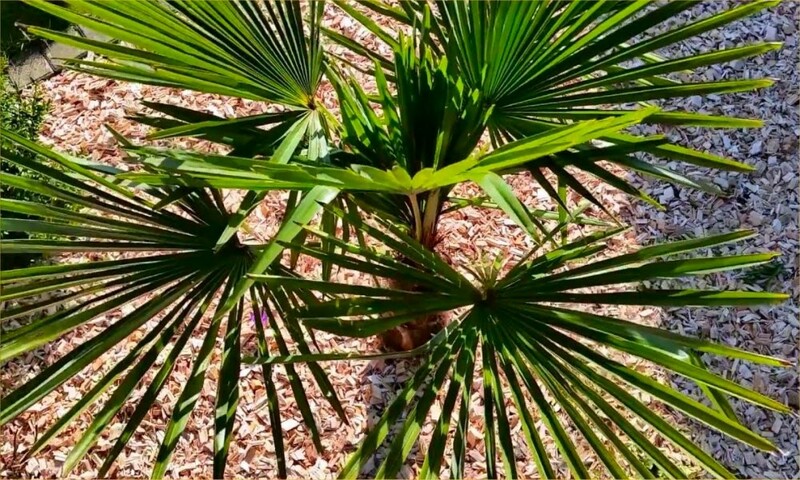 Surprisingly fast growing, your palm will form an attractive, thick trunk as it matures. 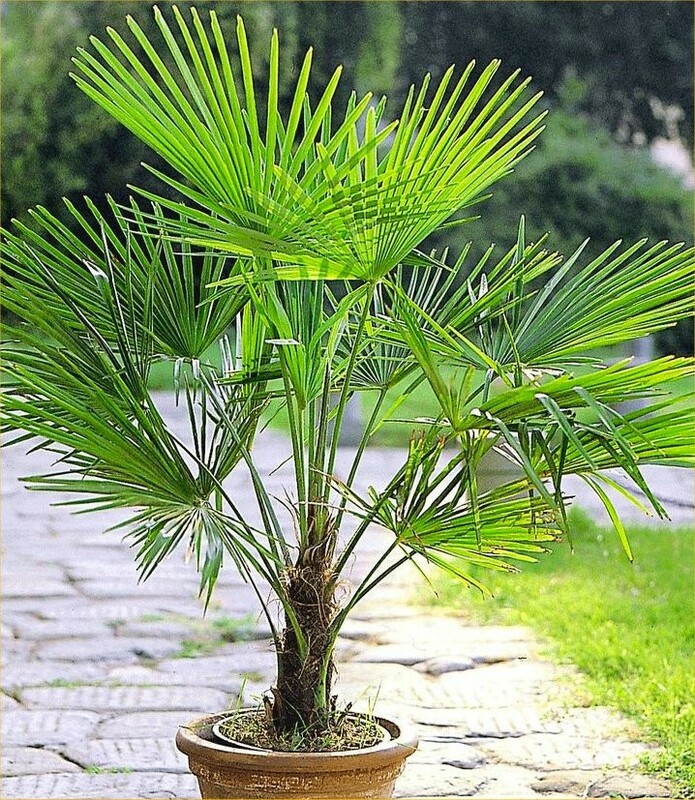 Lush, exotic, tactile and incredibly easy to grow, Trachycarpus are also known as the Windmill or Chusan palm, they will make an excellent specimen plant for sunny exotic garden or courtyard, and look particularly handsome in a decorative container. 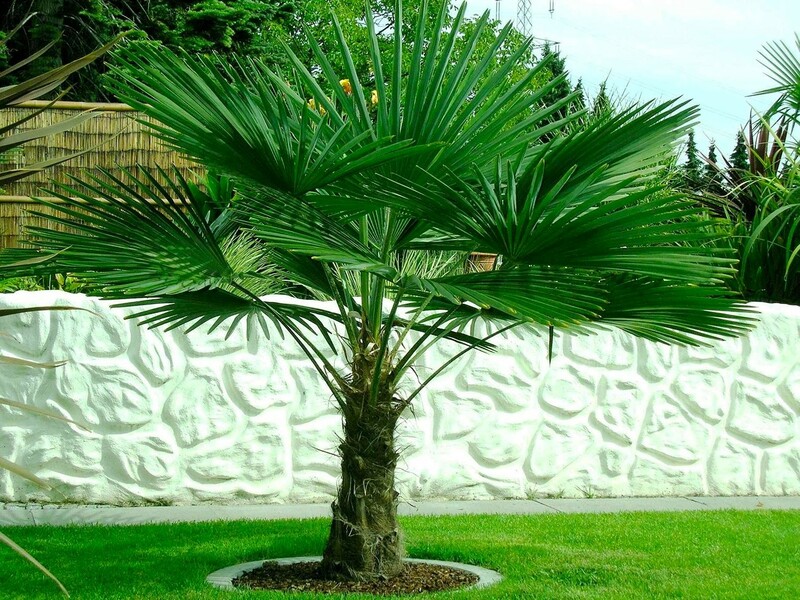 One of the most reliably hardy palms available, feed well and plant in a well drained position to enjoy a taste of the exotic all year round in your garden. Supplied in approx 1 litre containers with an overall height of around 30-40cms.